Our school can benefit from your shopping through easyfundraising.org.uk. This is a free service that allows people to shop directly at their favourite online store via the links on the easyfundraising website and raise a donation for their school cause once a purchase is made. Donations can be up to 15% of the value of your purchase, depending on the retailer and the item purchased. There are thousands of retailers which use the scheme including John Lewis and Amazon. Buy through easyfundraising and help us build our ‘Theatre of Dreams’! Ghyll Royd is proud of its history and aims to stay at the forefront of independent education. Although it recognises that it is the people (staff, parents and pupils) not the bricks and mortar which are ultimately the core of its success and identity, it also believes that first-rate staff deserve first-rate facilities which will benefit all the pupils. With the retractable seating in place, the pupils will have an outstanding venue to showcase their exceptional talents, raising the provision and delivery of the school’s performing arts to new heights. 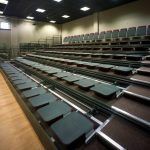 Following recent investment in the acoustics in the hall which has significantly improved the audio of the children’s performances, we would like to enhance the arts further with a retractable seating system. 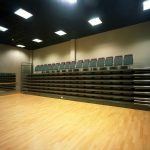 This will enable the school community to enjoy assemblies, concerts, guest speakers and performances both in comfort and with an excellent view due to the tiered nature of the seating. There is a significant cost to purchasing the seating, for which we are raising funds over a three year period. To date we have raised £5,346 with a further £28,250 to achieve. Fundraisers within school will continue to contribute to this initiative, however we are also giving parents and the local community the opportunity to name and sponsor a seat for £250. This is an excellent opportunity for your family to contribute to the future of Ghyll Royd and secure a place in its history. On purchasing a seat, your choice of wording (up to 35 characters) will be inscribed onto a plaque and added to the reverse of the seat. Individuals who would like to make a small donation without purchasing a seat may do so and will be acknowledged on our commemorative wall plaque. A visual representation of the seating may be viewed in the front hall of the Manor House. To purchase a seat please print out and return the attached form (Theatre of Dreams donation form) with a cheque made payable to ‘Ghyll Royd School’, or alternatively please follow the JustGiving link below. We kindly welcome any size donation should you wish to support the School on its fundraising mission. Click ‘Donate‘ to be taken to our JustGiving page where you can select the amount. 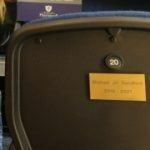 Please note: £250 guarantees personal sponsorship of a seat plus up to 35 characters inscribed onto the reserve of the seat. The ‘Theatre of Dreams’ fundraising initiative was launched by Channel 4 Coach Trip’s Brendan Sheerin. Read about his visit to Ghyll Royd here.